Baby Boomer is an unlincensed 1989 action game created by Color Dreams for the NES. 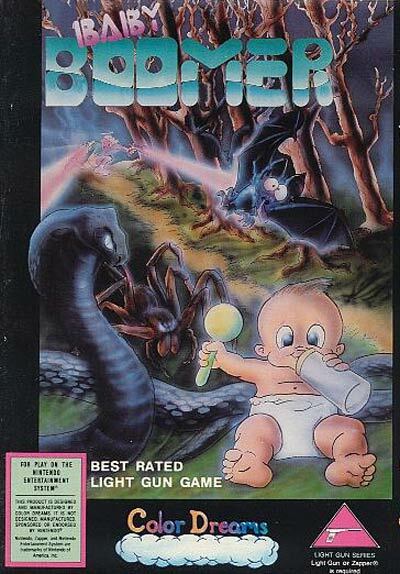 As a baby crawls across the screen toward numerous dangers, such as birds of prey or bottomless pits, the player uses his NES Zapper to shoot hazards before they hurt the baby. Shooting birds kills them; shooting clouds makes them form ice bridges over pits.